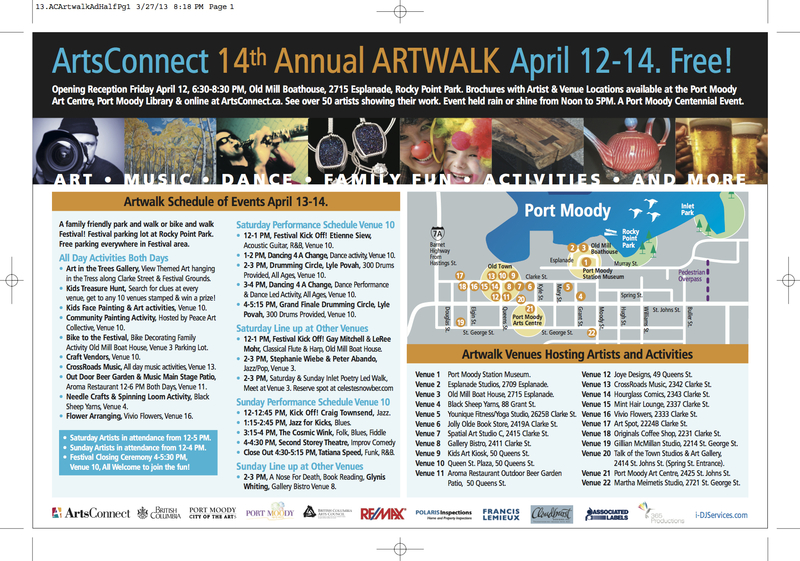 Friday, April 12th at 6:30pm is when the 14th Annual Artwalk will kick off with the opening reception at Old Mill Boathouse (#3 on the map) at Rocky Point Park. Then, Saturday and Sunday will feature the Artwalk event. Most of the venues will be along Clarke Street in Port Moody and in the middle of everything you’ll find The Gallery Bistro (#8) – just look for the chair in the tree! I will be at the Opening Reception Friday night, then at The Gallery Bistro with my woodwork Saturday from 12-5pm. On Sunday, I will be at The Gallery Bistro from 12-4pm and after that, at the closing party just down the block at the Queens Street Plaza Main Stage (#10). I hope to see you there! This is the sixteenth slide from my PechaKucha presentation.